Premier Scott Moe sat down with CTV's Gina Martin to reflect on the year following the Humboldt Broncos bus crash. Saturday marks the one year anniversary of the Humboldt Broncos bus crash. 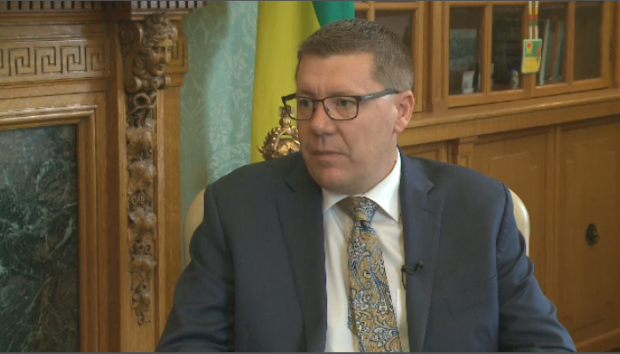 CTV’s Gina Martin sat down with Saskatchewan Premier Scott Moe to reflect on the past year and some of the changes that the provincial government made to try to prevent similar tragedies from happening in Saskatchewan. 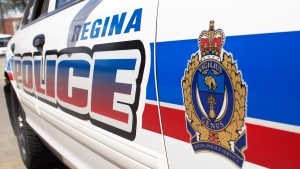 CTV Regina: What is going through your head as we approach the one year anniversary? Moe: What goes through my head any and every time that I have any thoughts with respect to that tragedy on April 6, 2018, is always the families; the parents, the brothers and the sisters and the close friends of each of those individuals that were involved. That’s where my thoughts go first. As I reflect on this past year, on everything that has happened from everyone really drawing strength from those involved, not just Saskatchewan people drawing strength but across the nation, around the world. All of the events that have occurred from fundraising events to memorials to events honouring the individuals and the families, and ultimately to this memorial that I will be going up to on Saturday marking the one year, I don’t even want to call it an anniversary, but marking the one year from that tragic evening for our province and so many. So much has happened right here in the legislature, in hopes of preventing something like this from ever happening again. Can you walk me through some of the legislation changes? Moe: In fairness there have been many discussions that were occurring prior to one year ago to that event. But also in just as much fairness, many of those discussions have been accelerated over the course of the last year. The most notable is the truck driver training program that Saskatchewan moved forward on and we continue to work with provinces to mirror that training program so that it’s consistent across the nation. 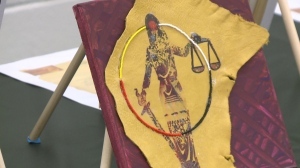 We see both Alberta and Manitoba moving into a similar program, Ontario is very close as well. And our intersection safety initiative, $65 million dollars will be invested over the next five years. It’s Important for not only all of the traffic that we have across the province but important because it is our families in these vehicles and we need to always look at opportunities that we have to invest not just in twinning, not just in overpasses, but to invest in these intersections across the provinces. We’re moving forward most recently with an organ donor registry, really precipitated by one of the young men in this accident in Humboldt. It’s been tagged as the ‘Boulet Effect,’ and I think there’s more discussion to have on the whole organ donation topic as we move forward in the next number of days. Now that the year has passed what is the province going to be looking at as a one year anniversary becomes a five year anniversary, and a ten year anniversary. How do we keep this tragedy on the forefront? Moe: I think the way to do that is to bring the memories of what happened one year ago in this tragedy, but also the memories of all the traffic accidents that we have across the province, to the tables on all of the decisions that we make as a government. The decisions around intersection traffic safety are at a different table than the decisions that are being made around organ donation are, but most certainly they are very much tied to the same incident. If you bring those memories, those experiences to those tables, I think it already has impacted some of the decisions that we’ve made across government, not just in the way of highways, or not just in the way of emergency healthcare but in the broader decision making process that we have in government. Moe: As we look to this Saturday, so much has happened over the course of the past year and my thoughts my prayers, my heart, and I know so many others from this province and across the nation are always with the families, the parents the brothers, the sisters and the close friends of those that were impacted by this.